Fake news: trend or simple disinformation? For some time a new term is on everyone’s lips: “fake news” or “false news”. They read hundreds of them every day and the web is a constant furnace of invented contents. But when was this trend born? How do they recognize each other? And how do we defend ourselves? The English term fake news indicates articles written with information invented, misleading or distorted, made public with the deliberate intent to misinform or spread hoaxes through the media. Traditionally to convey fake news are the big media, that is televisions and the most important newspapers. However, with the advent of the Internet, especially with the sharing of social media, the spread of false news has increased exponentially. 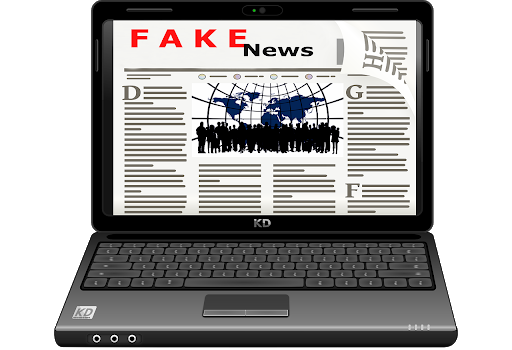 In recent months the expression “fake news” has been used to indicate very different phenomena: print errors, hoaxes, conspiracy theories, satirical concepts misused as journalistic sources, the spread of unverified news, political propaganda, false information from websites put online to generate click-baiting profits. One of the most famous examples of fake news dates back to 1814, during the Napoleonic period. A man, dressed as an officer, showed up at an inn in Dover and declared the defeat and the subsequent death of Napoleon, probably the most charismatic character of that historical moment. The news in a very short time arrived in London, with the consequence that at the opening of the stock exchange many shareholders rushed to invest convinced that Napoleon was now deceased, thus leaving the throne to the Bourbons. Very soon it was discovered, however, that it had all been the result of a lie developed for political reasons. In the meantime, however, some people had already sold their government bonds for millions of pounds, and of course the convicted offenders were convicted. Although it is a historical source dating back more than two centuries ago, it is possible to understand how a simple fake news has caused such a confusion to stop the most important English stock exchange. A more recent case of fake news is certainly that of Colin Powell’s speech to the UN Security Council in 2003. The then Secretary of State of President George W. Bush showed the audience an alleged vial of anthrax, revealing that he was in possession of secure information on Iraqi chemical and bacteriological proliferation programs. Powell’s source turned out to be an Iraqi chemical engineer, who years later admitted that he had invented everything. The situation only degenerates from year to year, so much so that the year 2017 has been a “record” year in terms of fake news, some of which also concern people of a certain importance as well as issues of very current relevance. A first example concerns the current American President, Donald Trump: President Trump, after having attributed the paternity of the term “fake news”, continued to use it against the press considered hostile. But Trump himself has been involved in the spread of “hoaxes”. In particular, he retweeted three anti-Islamic videos posted by an exponent of the British far-right. The one entitled “A Muslim migrant beats a Dutch boy on crutches” was immediately branded as a fraud by the authorities and police of the country: the attacker was born and resides in the Netherlands, while there is no information on his religious faith. But President Trump at the beginning of 2017 was the protagonist of another very special episode, halfway between fake news and “clumsy gaffe”. 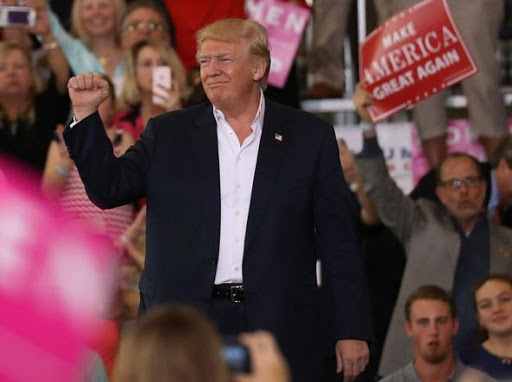 While talking about security and national borders during a rally in Florida, the American president referred to an attack in Sweden a few days earlier, in fact never happened. Some thought he was confused with a suicide attack in Sehwan, Pakistan, which actually occurred on the previous Friday. All with a strong embarrassment on the part of the Swedish authorities who had to deny the US President and a great irony on the web. Even Italy was invaded in 2017 by a very important fake news, concerning an old knowledge of the Web, back in vogue after a service of the Hyenas, the phenomenon of the so-called “Blue Whale”. A sort of online ritual at the end of which the involved young man commits suicide after having faced a series of tests. Over a hundred deaths related to the Blue Whale have been estimated, including some cases in Italy, but without ever having any confirmation of the actual link with the ritual. And even within the service of the Hyenas, video clips were used that had no connection with this presumed phenomenon. How the phenomenon of disinformation is fed? Misleading connection: when titles, images or captions differ from the content. Deceiving content: when content is passed off as originating from existing sources. 100% fake content: when the content is completely false, built to mislead. Handled content: when real information, or image, is manipulated to mislead. Manipulation of satire: when there is no intention to cause damage, but the satirical content is used to mislead. Misleading content: when misleading information is used to frame a problem or a person. Misleading context: when the actual content is accompanied by false contextual information. But what are the motivations behind the spread of a fake news? The main ones are certainly: propaganda, profit, political influence, particular interest, bias, bad journalism, parody. A part is unintentionally shared on social networks by people who, without a thorough check, re-launch or retweet inaccurate or false information. The contents amplified by journalists, who have to disseminate information that emerged from the web and social media in real time. Groups vaguely connected to each other who try to influence public opinion. Bot networks and Troll factories. To avoid unintentionally affecting the disinformation process described above, it is also advisable to take a series of precautions. First of all, consult and compare multiple sources of information, not reducing to a single source. As a result, sharing a piece of news only after checking it out, and absolutely not casting it. In the event that a content is shared, then a false result, try to correct it quickly. The most important recommendation to be made to the reader, however, is surely that of dealing with information always with a skeptical attitude and critical thinking. Everyone has his own thinking mind, and the first remedy for fake news is the user himself.